Every year, a group of friends puts on an annual neighborhood romp that aims to display the best food and drinks offered in a different Atlanta neighborhood and I am tasked with creating a t-shirt to ramp up the fun. Each year’s design needs to feature some aspect of the neighborhood or the stops so that each year’s design is as unique as the neighborhoods visited. 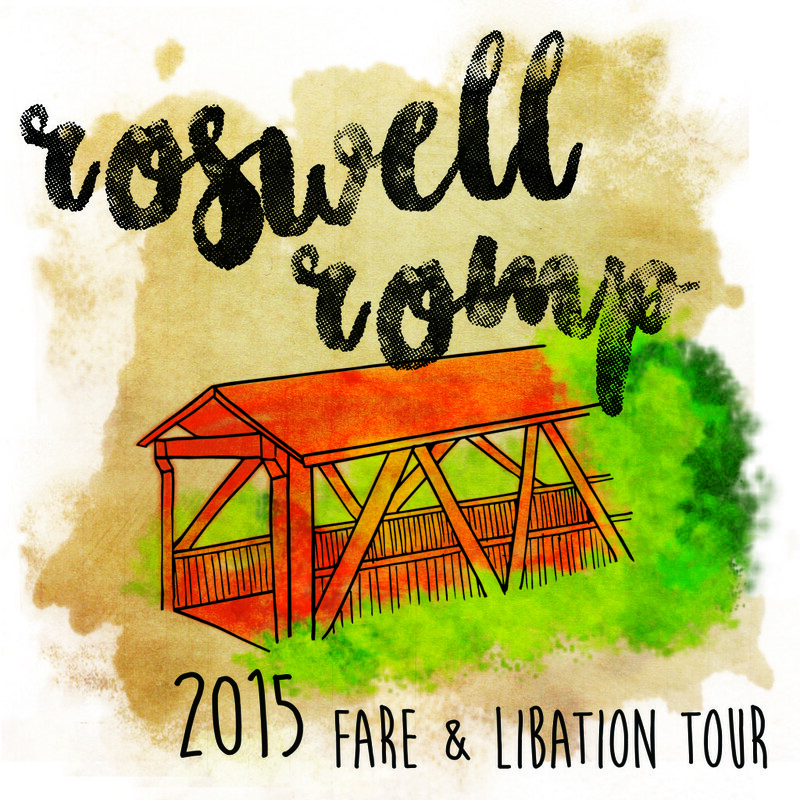 For the 2015 romp through Roswell, Georgia, I opted to not go with the usual showcasing of the unique eats and drinks of the neighborhood and focused on what makes Roswell special: the old mill and bridge. Since Roswell is quickly developing as a spot for delicious locally-owned restaurants and a number of art galleries, I wanted to do a more artistic touch and created a design that turned the Roswell Mill Bridge into an abstractly painted watercolor. The whimsical design was a hit among romp patrons as well as the restaurant owners and locals.